In Forex trading it is important to see reality. You own mind can distort reality if you are not careful. 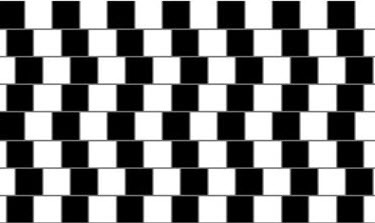 Are all the lines above horizontal or not? The answer will surprise you. The Forex Grid Trend Multiplier will take every trade in the direction chosen by the trader using a grid to enter and cash transactions in. Negative transactions a kept open but positive ones are cashed at every grid level. This allows a multiplier effect to occur where a trader can make 4 to 20 times the pips than the trend anticipated. In this EURJPY trade a Buy was entered into when the price bounced on very strong support. The transaction did not work out to well as the transaction ended up going the wrong way at first and the ranged sideways for a few days after which it started edging upwards. There was a gain of just over 130 pips from the start of the transaction, but with the multiplier affect the actual gain was 900 pips (45 transactions of 20 pips). A grid of 20 pips was used. You do not have to get the direction right immediately all the time. 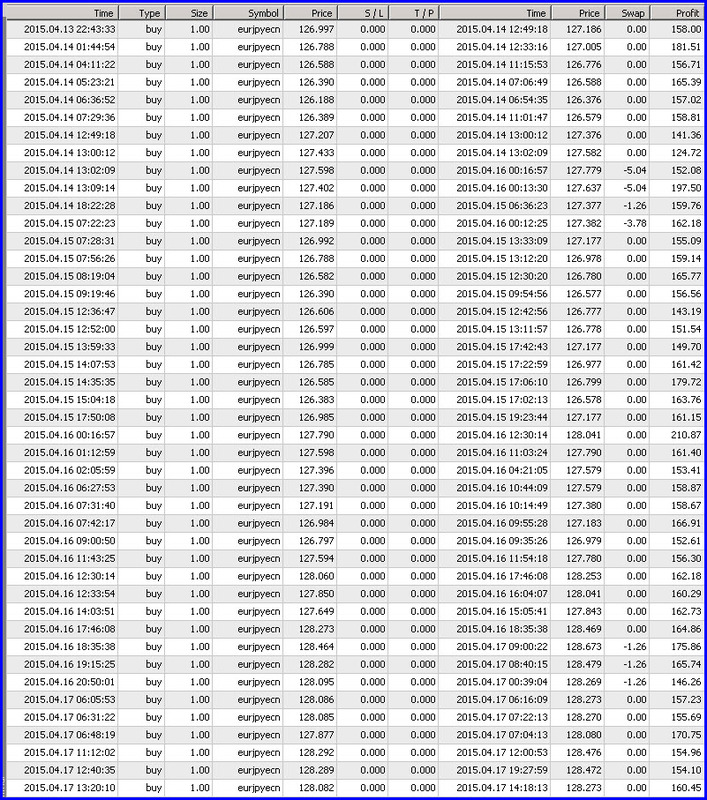 The power of the multiplier – this transaction would have yielded 130 pips – instead it yielded 900 pips in 4 days.